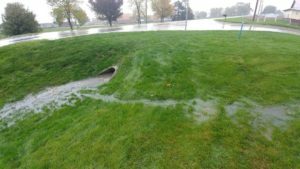 Soils that are rich in organic matter act like sponges, soaking up heavy rains rather than allowing water to pond or run off the surface. 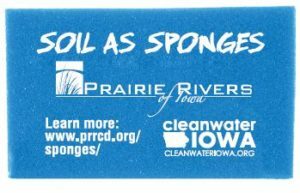 By reducing runoff, healthy soils prevent sediment, nutrients, and other pollutants from washing into lakes and rivers. A spongy soil can also hang on to more water after the excess has drained, helping sustain crops through dry periods. Healthy soils can help reduce the negative effects of both floods and droughts, benefiting crops and downstream communities. Healthy soils can also be sponges for carbon dioxide in the atmosphere, with the potential to help prevent destructive climate change by storing more carbon in the form of organic matter. Demonstration by Jean Eells: The healthy soil on the right quickly absorbs the water from a simulated rainfall. During construction, topsoil is often removed and remaining soils are compacted by heavy equipment. Soils in a new development act more like concrete than sponges. It can take decades for plant roots and freezing and thawing to reverse this. 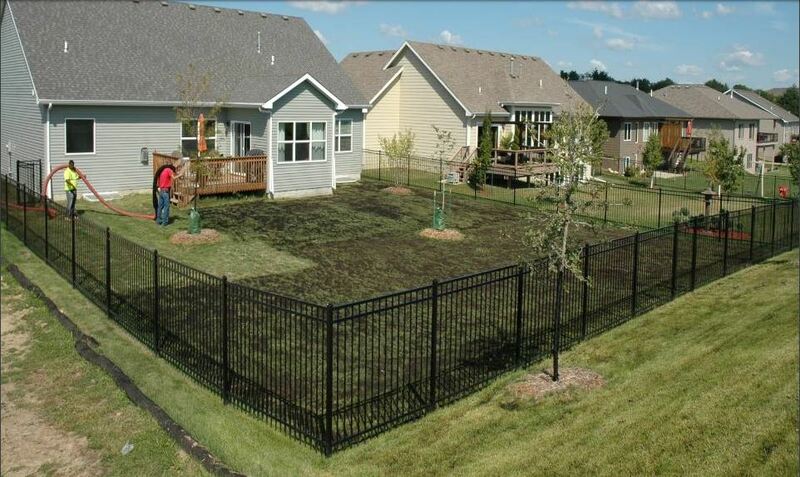 Aerating and applying compost to lawns can add organic matter to the soil. Some cities, like Ames, offer rebates to help homeowners improve their soils. Developers can plan carefully to minimize the area disturbed by construction, and replace topsoil and amend with compost when construction is complete. Tillage can loosen up a heavy or compacted soil in the short term, but over the long term, it pulverizes the soil, making it more susceptible to erosion, crusting, compaction, and a loss of organic matter. 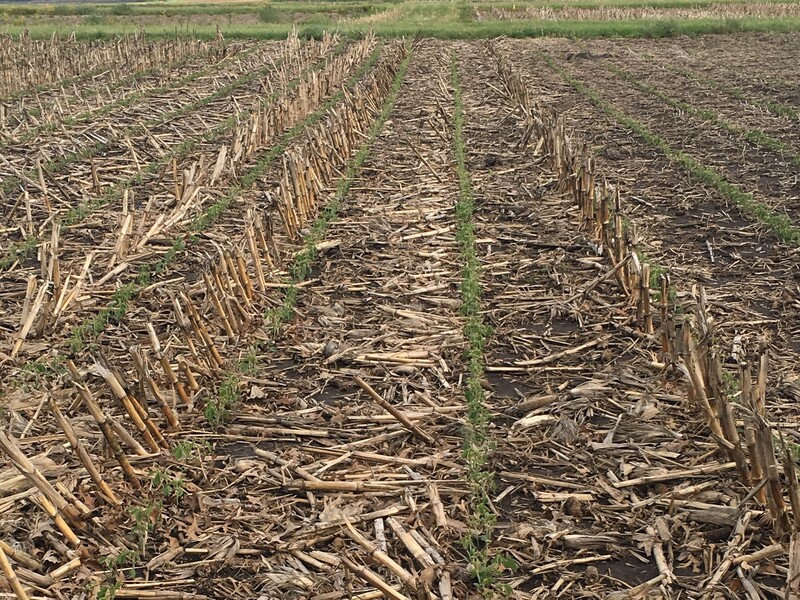 Under no-till or strip-till, crop residue protects the soil surface from wind and water while earthworms and plant roots loosen the soil and create tunnels that can admit water and air. 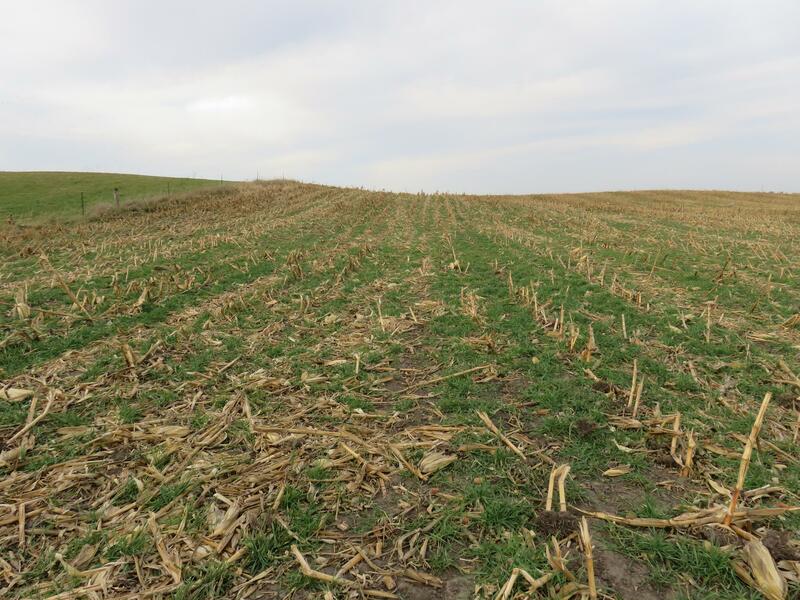 Having continuous living cover on the field—either by incorporating a cover crop into the rotation or converting marginal lands to a perennial forage or biomass crop—feeds the soil with organic matter and prevents erosion. This demonstration by Andrea Basche shows how cover crops can make soils spongy, reducing ponding and runoff by improving infiltration of water into the soil. 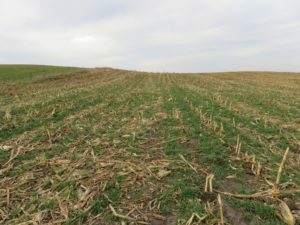 The soils used in the demo were taken from research plots in Boone County, Iowa, one from a tilled plot and another from a plot with ten years of a rye cover crop. How much water can healthy soils soak up? A lot! 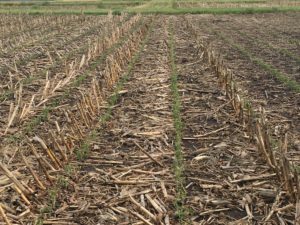 Research by Tom Kaspar and others at the ISU Boyd Farm in Boone County reported a 65% reduction in runoff from a simulated rainfall in field plots with a history of cover crops. Another study at the same site by Andrea Basche, Tom Kaspar and others found that cover crops increased plant available water in the top 30cm of the soil by 21-22%. These infographics (prepared by Prairie Rivers of Iowa) combine numbers from both studies for illustrative purposes.